Budleigh Salterton is a small seaside town in the constituency of East Devon. I’m the Green Party prospective parliamentary candidate for East Devon and here’s some useful information about this lovely coastal community. 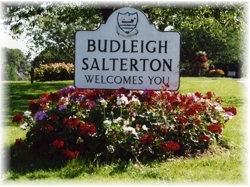 I’d recommend browsing www.visitbudleigh.com to find out more about the town which has approximately 5000 residents. The seaside settlement that is now Budleigh Salterton for generations derived its livelihood from agriculture, fishing and a bit of smuggling on the side. Doomsday records that salt panning was of great importance here, hence the origin of the name ‘Salterton’ and the remnants of a fine Roman villa near Otterhead suggests that this activity went on as far back as Roman or even Iron Age times. 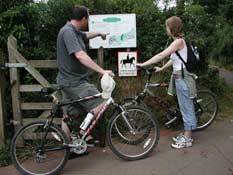 The multitude of country lanes in East Devon offer a quiet retreat from busy roads for the keen cyclist. There is a cycle track, with several picnic spots along its way, that extends for about 2 miles from the edge of Budleigh to Littleham on the outskirts of Exmouth, along the course of the old railway. Combine this with the lane from Littleham or roads through the leafy residential part of Exmouth and you can cycle from Budleigh to Exmouth seafront, with all its accompanying attractions. (See www.waterscape.com for more details of the cycle route). The town has immediate access to the south west coast path. Exmouth via Sandy Bay is about 4.5 miles. A more gentle walk can be taken by going up the River Otter, a level walk of about 2.5 miles, up to the village of Otterton. This takes you past The Otter Estuary – a Nature Reserve and Site of Special Scientific Interest, managed by the Devon Wildlife Trust and an important area of salt marsh, with good numbers or waders and wildfowl between October and March. The East Devon Green Party has regular meetings in the Budleigh area – please contact me for details of you are interested in coming along.